A couple more quick items to share…. 1. 150th Anniversary of the Battle of Camerone. Just a reminder that 30 April is only 10 days away. 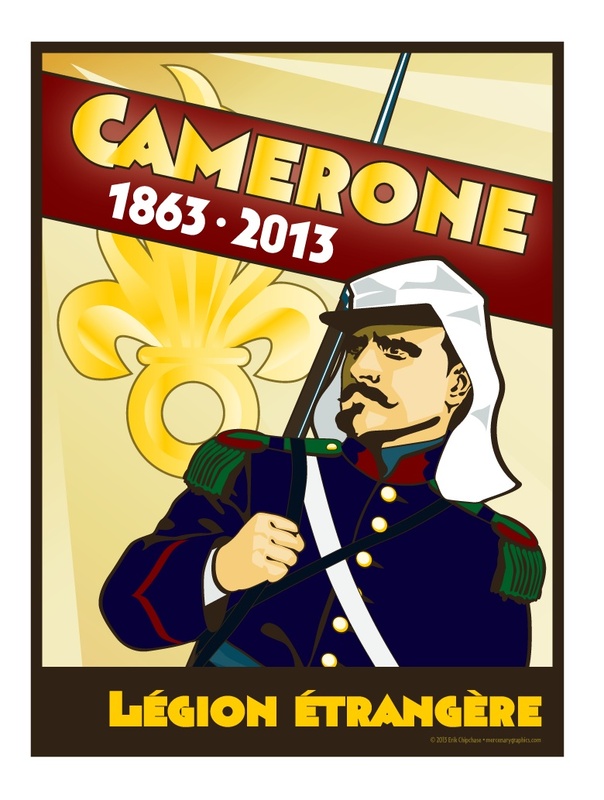 Camerone Day is the sacred day of the Foreign Legion and this year should no doubt be very special. I’m looking forward to a couple of things; there will (hopefully) be some great video of the official commemorative event uploaded to YouTube (after the event of course) and the folks at Kepi Blanc will likely publish a commemorative book/magazine that will be in high demand. I’m already coming up with ways to celebrate Camerone Day on this blog as I’ve done in the past. So, lots more to see here in the coming days leading up to Camerone Day so be be sure to check regularly. Andrew, an enterprising graphics artist at Mercenary Graphics, beat me to the punch with this nicely rendered poster below. (I also found where I’m going to get a new coffee cup for Father’s Day). 2. The Treefrog Treasures Toy Soldier Forums. This page contains tons of great information on the fine 54-60mm scale soldiers produced from various companies such as King and Country, Conte, Britains, First Legion, John Jenkins, and Thomas Gunn. There are also discussion and information sections for Glossy Figures (vintage looking figures), How-to section, Buying and Selling, Dioramas, Plastic Figures, and Diorama Accessories. I’ve never visited this forum before and I’m only now discovering some really neat dioramas and pictures of miniature soldiers. Michael posted the following pictures of his Tommy Gunn legionnaires (and had some nice words about this blog). 3. Military Figurines Gallery. If you like miniature military figurines, busts, planes, tanks and vehicles and dioramas you should check out the gallery of photos posted on the PLÀSTIC, PLOM I PINTURA website. They were taken at the Asociacion Modelista Torrent 2013 show in Spain. 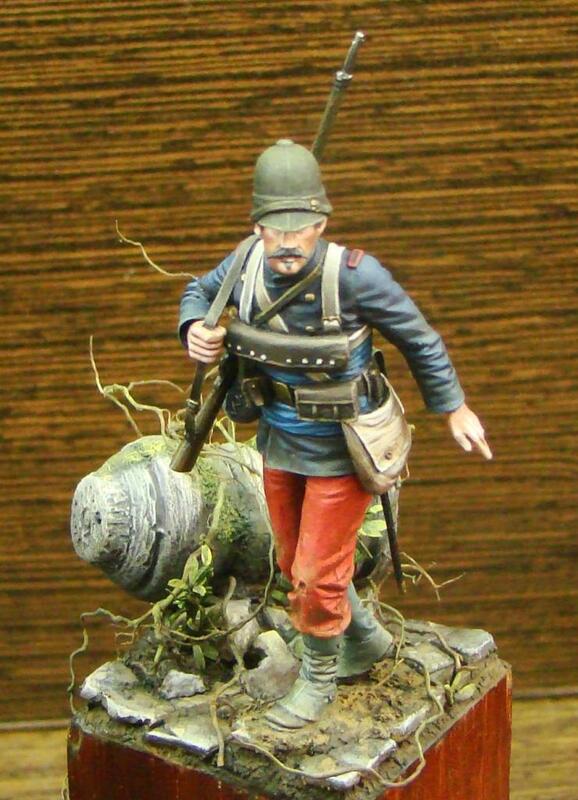 My favorite figure shown here of course is the Legionnaire depicted in the uniform worn during the Tonkin Campaign (1883-1886). Galleries from previous shows can be found here. This entry was posted in Art & Illustration, Camerone, Miniatures, Uncategorized, Uniforms. Bookmark the permalink.